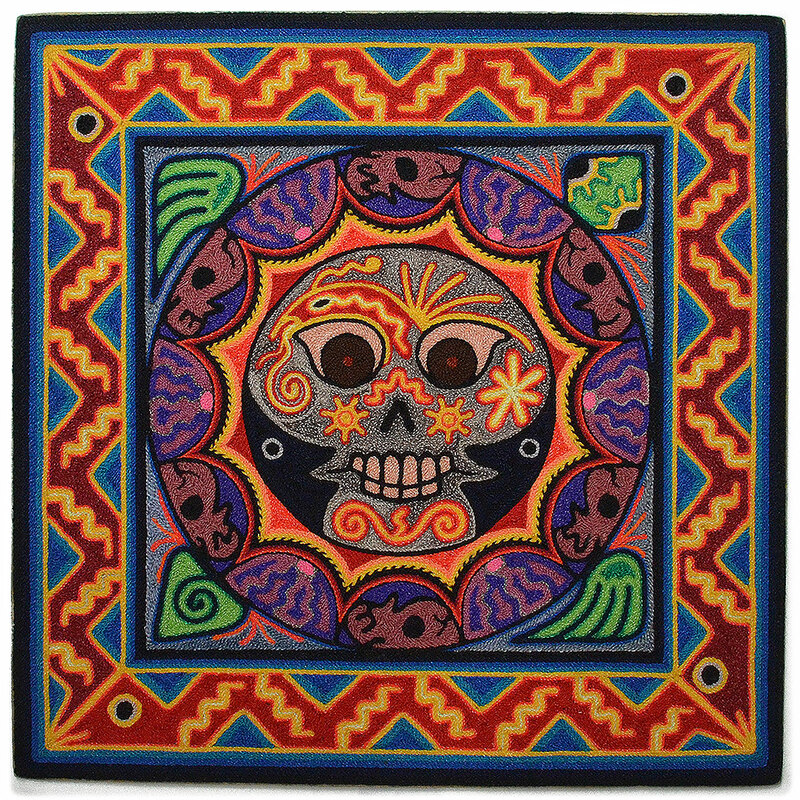 Luis Castro comes from one of the most important families in Huichol art and is one of the most collected Huichol artists. His great grandfather Hilario Castro was a well-respected shaman in the late 1960’s, his grandfather Daniel Castro was one of the pioneers of the yarn art in the 1970’s and his father is one of the best recognized yarn artists. Luis’ incredible attention to detail and subtle color combinations sincerely set his work above the rest. For him the skeletons represent his ancestors and he pays homage to them and the traditions they left behind.